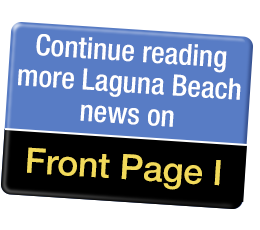 Laguna Beach baseball dropped its first league game of the season Friday afternoon, losing to Costa Mesa 6-3. The Breakers outhit Costa Mesa 11- 4 but hit into two double plays and couldn’t come up with the big hit, leaving 11 runners on base. Costa Mesa made the most of its chances, with five of six runners reaching base on walks, taking the lead in the third on a three-run homer by Tyler Corkhill. Blake Burzell started for Laguna and took the loss, giving up five runs in 2 1/3 innings. Wes Witteman pitched 3 2/3 effective innings to keep Laguna close. Jared Angus led the LBHS hitters, tallying three hits. Cutter Clawson, Sawyer Chesley and Michael Kerner each added two hits. The Breakers are now 12-1 in league play, 17-9 overall. The regular season finishes this week, with the Breakers playing an away game against Estancia today, May 8 at 3:30 p.m.
Senior Day will be at home Wednesday, May 9 at 3:30 p.m., also against Estancia.